them, and it is critical to remove them before they are able to do serious damage to your home. The first step in solving your rodent problem is identifying exactly what is in your attic. It’s dangerous to explore your attic unprotected, so instead, keep an eye out for the following signs of various animal activities. Don’t let their small size fool you; rodents can cause serious damage within your attic. Mice reproduce alarmingly quickly, and can overrun your home before you know it. 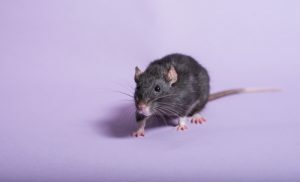 Rats have a reputation for chewing through electrical wiring and structural components, and squirrels use pheromones to attract others to them, where they destroy attic insulation with their urine and feces. Additionally, all rodents are known to carry potentially deadly infectious diseases, putting your family in danger. Because of the potential health risks associated with coming into contact with rodents, we always recommend enlisting the help of a professional for your removal needs. With over three decades of experience, you can rest assured that we’ll completely resolve your rodent problem the first time. Call us today at 239-872-3355 with any questions, or to schedule a home consultation.